Internationally acclaimed and Grammy-nominated artists Galantis’ highly anticipated new album,The Aviary, is out now via Big Beat Records. Download/listen to the album here. The album includes 2x ARIA Platinum-selling single No Money, ARIA Gold single Love On Meplus Galantis and ROZES collaboration Girls on Boys and Tell Me You Love Me which was written by Australian songwriter Sarah Aarons (aka Paige IV) [Zedd “Stay”, L D R U “Keeping Score”] and Australian DJ/Producer Throttle who is riding high after multiple Beatport chart-topping tracks and more recently completing a headline tour of Europe and the US. 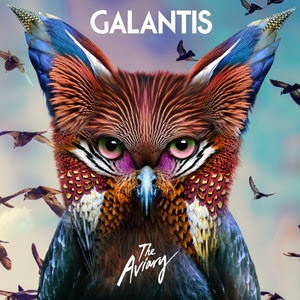 While Galantis’ 2014 debut album, The Pharmacy, was recorded in a secluded studio in the Stockholm archipelago, The Aviary came together in a constant touring climate. For Galantis, the key to their artistry’s evolution occurred while embracing change. Christian Karlsson points to an epiphany he had while visiting an actual aviary in Hong Kong that helped inspire the new album’s namesake.